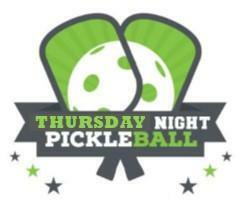 Come get out of the cold and play Pickleball! Grade Levels: 3rd - 8th Grade plus Adults! Pickleball is a fun-filled active game. It is a combination of tennis, badminton, and ping pong enjoyed by both the younger and older generations. All levels of experience are welcomed to join us. Come learn to play a life-long sport that will help keep you healthy and challenge you at the same time. Pickleball is also offered for adults! Participants that are not Honor School Students, or residents of HNR School District will pay $1 per person per night fee. Do not wear “street shoes” in the gym. Please bring separate tennis shoes for use in the gym. Leave equipment in the gym. Students can be dropped off at 6:30 P.M. and picked up by 8:30 P.M. If students are dropped off, they must have a permission slip signed.